For online organizations, brand awareness and huge web traffic are always on their top list. Both this goals can be achieved by implementing proper online marketing or internet marketing strategies. Actually, it requires a lot work to promote your website over the web as there are several components ranging from content formation to delivery and sales in online marketing. We have combined these components into five simple steps that can give your business a boost. If your business is not getting enough successful result, you should focus on web design and change it by removing errors that keep away potential web traffic from your website. Because when a visitor visits your website, the first impression he gets from is your website design. The website with attractive interface and glossy design could influence visitors easily. With well-designed website, you can reach to your target audience therefore, keep in mind that your website should not fill with overly design or poor design, icons or breadcrumbs. Every business is in the race to get ranking in search engine. SEO (search engine marketing) can help you to drive organic traffic to your website at free of cost or sometimes by PPC (pay per click) campaign. When you think of Search engine marketing then it covers website structure, blog structure, unique and fresh content and keyword framing are most considerable topics that brings visibility to your website in search engine. Currently, search engine like Google has come up with penguin and panda updates that influenced many website rankings. These updates are only for spammers that are interested in gaining overnight popularity without any creative and original work. However, if your content is information oriented and unique, then there is not to worry in this regard. Though email marketing is losing its place in marketing world, still it is the best option for small business carrying a fixed budget. Through email marketing, you can keep your customers in loop, but before sending email to them, you should think twice about the content of email. Heavy or unwanted offers may irritate your current customers, so it is wise to send very brief mail so they can understand and act upon it easily. Do not put link into email that redirects readers to another page, show your clear intention in email, and if it is necessary, then put a link or button for subscription so customers will not have to think much about offer subscription. Make sure that email marketing may not become headache for your customers. If you are running a website and you do not think of Smartphone, then you are saying good-bye to your potential customers. According to research, there are 3 out of 4 searches done though Smartphone. Whether it is a store visit, a purchase, or sharing anything people use Smartphone heavily in current time. To provide your visitors the best handy experience, you should have a mobile friendly website that could offer a brilliant browsing experience to users on their Smartphone. To make user-friendly mobile website, WordPress is the best platform that offers responsive theme and various plug-ins that offers better browsing. For that, you can contact Mobile Development Company to consult your next mobile website project. Almost every web savvy person is associated with social media platform. Whether you are blogger, reader, entrepreneur, writer, or any person who loves to interact with new people and want to share thoughts among a wide community then you are definitely social media lover. Social media is an integral part of a better internet marketing strategy and for that, establish a fine presence in major social media networks including Google+, Facebook, and Twitter etc. by sharing useful content on daily basis that will engage people who are interested in your product or website. 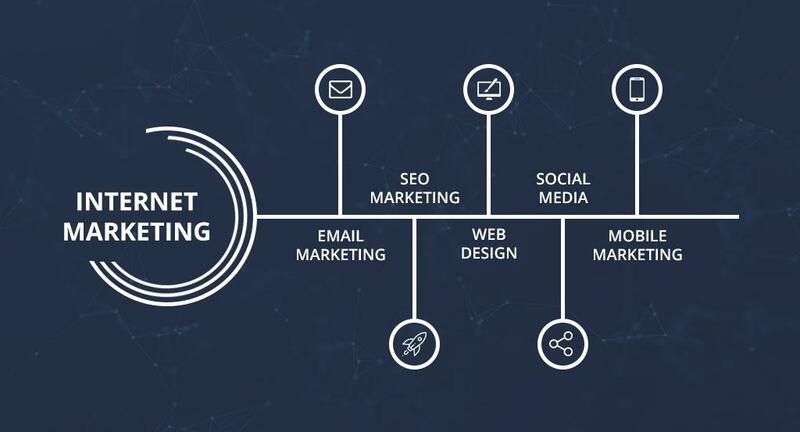 It might seem tough to manage all networks instantly, but for this, you can hire online marketing firms that will do this task easily for you. Just think that after spending thousands of dollars in offline marketing, you might not get enough traffic for your product or website and on contrary it can be easily achieved with a sharing few fresh stories or content among different social media platforms.